There are a number of good books on the market today that help chicken owners create and manage a small backyard flock. Some of these books are for newcomers and others for pros. 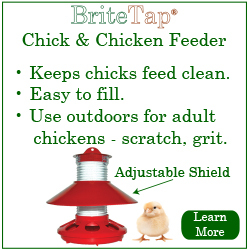 Some focus on one specific aspect of poultry keeping such as chicken health or coop design, and some are general guides. However, there’s always been a gap in the chicken book market. That is until now. 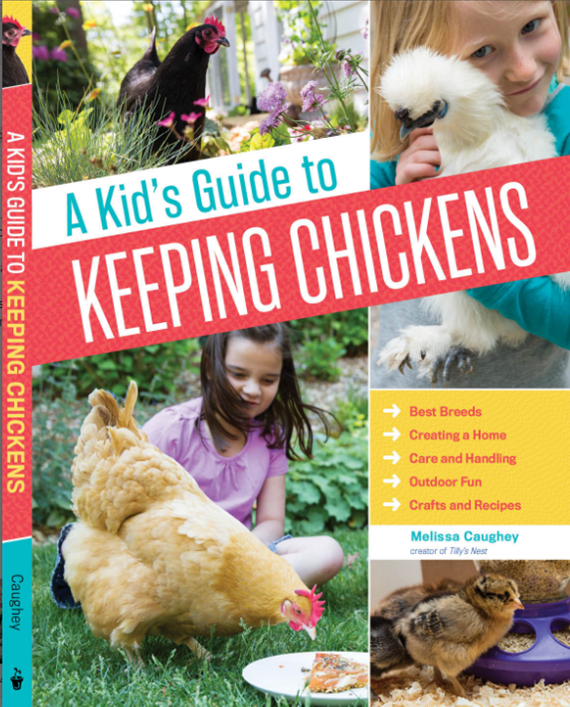 Melissa Caughey’s A Kid’s Guide to Keeping Chickens is the first truly comprehensive and accessible book on the topic written for kids. The book is a general guide to chicken keeping and covers all the same topics one would expect to find in a book written for adults. 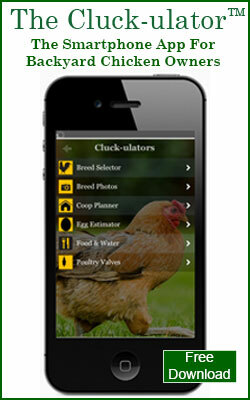 These include, selecting chicken breeds, raising chicks, feeding and watering, etc. However, the author has paid careful attention to creating a book that is accessible and engaging to young readers. Child friendly text is organized into topics that are generally 2-3 paragraphs in length. This makes it easy for kids to read the book in short increments and not be overwhelmed by the information. This text is accompanied by plenty of photos and illustrations that are laid-out on the page in a way that makes it easy for kids to understand and remember the concepts presented. For example, the section on daily chores, communicates the tasks that need to be done each day using a series of captioned photos that are arranged sequentially on the page to form a daily timeline. This makes it super easy for kids to understand what needs to be done over the course of the day. General chicken keeping information is paired with fun craft projects that teach kids how to draw a chicken, color Easter eggs etc. 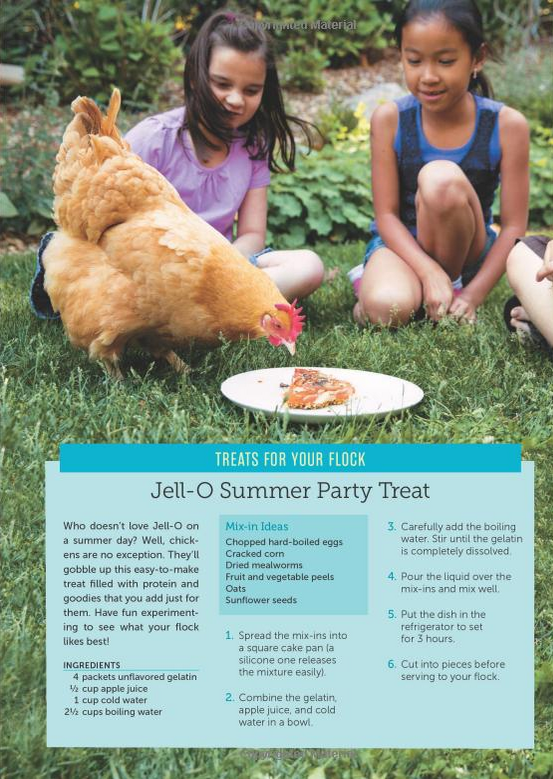 The book also includes DIY projects for young “makers” such as how to build an herbal wading pool for chickens or how to create a mealworm hatchery. They make for fun activities on days when the weather keeps kids indoors and parents need an activity to occupy all that kid energy. Another nice touch by the author is the inclusion of recipes for egg dishes in a separate section at the back of the book. It’s empowering for kids to be able to create their food. 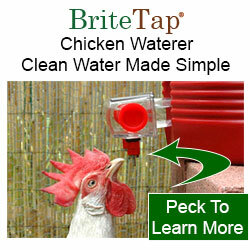 Using eggs produced by chickens they raise themselves takes this to an even higher level. This is a beautifully executed book and we recommend it to parents who want to keep backyard chickens. Based on our reading, we feel the sweet spot for this book is children aged 10-13. They’ll be able to read the book with little or no assistance from a parent. Kids 8-10, will probably need assistance from Mom or Dad depending on their reading ability and comprehension. A Kid’s Guide to Keeping Chickens is available for sale at Amazon.com, Barnes & Noble, Target, Wal-Mart and Powell’s. Melissa Caughey is also the author of Tilly's Nest, a blog that provides information about backyard chickens.